Cheap FPV Cameras, Are They Worth Buying? Being one with more desire for toys than money to buy them with, I thought long and hard before buying a $39.95 complete FPV setup. On the positive side, it was a complete setup and the most I could lose was $52.33 (shipping included). On the negative side, the old clichés “you get what you pay for” and “you can’t believe everything you read” really nagged at me. So after far too much procrastination, I bought it. I think one of the major reasons for buying this setup is because it was complete, with nothing else to buy (as long as you have an old TV and a 9 Volt battery). To buy a better quality setup would have taken more study to pick and choose the various components, and at that time I had very little knowledge on the subject. 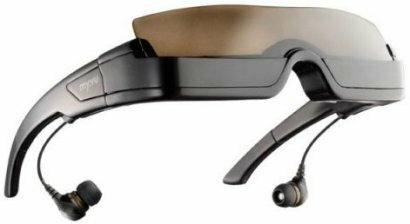 Video glasses, or video goggles are nifty devices that allow you to privately view video from almost any video source. In fact, the MyVu’s had cables to connect to the typical RCA connectors (found on most all TV’s and DVD players), as well as the Ipod, Zune, and several phones. 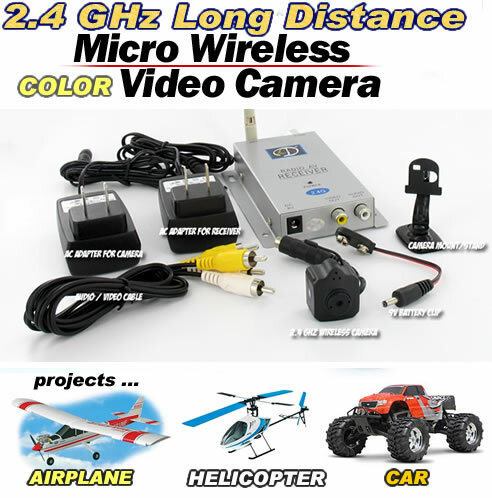 However, this review will concentrate on their use as display device to drive or pilot radio control (RC) cars and aircraft from the first person view (FPV), using a video camera and a wireless transmitter. The goal of using video goggles in this manner is to block out the outside world, and provide an immersive experience, where the RC pilot (for example) has the illusion of being in the cockpit while flying the airplane. 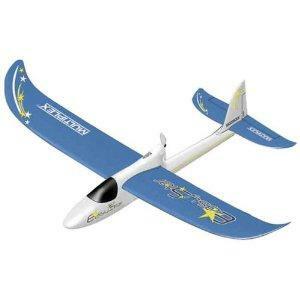 After flying a couple of my nephews RC airplanes (on a buddy box), and dreaming about flying for far too long, I set out to find the perfect trainer. My goal was to first learn to fly RC the conventional way (by line of sight), then move into FPV video piloting. I had flown the GWS Beaver and Pico Stick and found that the propeller (being on the front) was easy to break. To make matters worse, my nephew (a skilled RC pilot) had these planes setup to suit his skill level and I had difficulty flying them. I am told that they are both normally quite docile airplanes. I should mention that the only perfect RC airplane trainer is a flight simulator. The ability to peck your keyboard and get a new airplane is priceless, and so is the flying experience. There is at least one completely free flight simulator, so there is no excuse for skipping this important phase of your training. The state of the art Realflight G5.5 simulator runs about $200.00. This is still cheap when compared to the cost of continually buying and repairing airplanes. This type of flight requires an expert FPV pilot, and involves a high level of risk. Don't try this one either! Copyright 2011 Ron Brown; all original works retain their individual copyrights. Some videos have been embeded from video sharing sites, where embedding was enabled by the copyright holder. These videos were not produced by Ron Brown, and the original copyright holder retains the copyright to these videos. Some videos show flights that may be deemed dangerous; please do not pilot any aircraft (RC or otherwise) unless you understand the dangers and are willing to accept the risk.